Bhuvana (Sanskrit भुवना) is derived from an ancient Sanskrit word bhuvan, which literally means earth, world, house and home. Bhuvana also refers to water, all-pervading, living creature and mankind. Bhuvana founds reference in Riga Veda (ऋग् वेद) where Bhuvana refers to a living creature, a being, man or mankind. Reference of this word is also found in the Epic Mahabharata (महाभारत) in which Bhuvana denotes earth or world. Mention of Bhuvana is also found in Brahma Puran as the mother of Visvakarma and the wife of one of the 8 Vasus. This name is also found to be mentioned in Arthav Vedas (अथर्व वेद) and Shatpath-Brahman (शतपथ-ब्राह्मण) where Bhuvana signifies residence, place of being and abode. 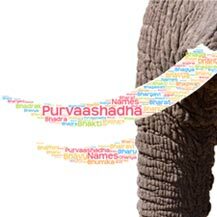 Bhuvana is a very popular name in India. Here Bhuvana is used by more than 1150 people as the name of their babies. Bhuvana is not a popular name in the USA as we can see in the graph above. Bhuvana Natarajan is an Indian translator and short story writer.